Tired of using twisty-ties and rubber-bands to keep your bags closed and not keeping them air-tight? What about keeping them waterproof? As much as we try to stay away from plastic water bottles, they are still everywhere and we are seeing some very creative ReUse ideas that can give them a much longer life. Recently we came across the idea to use the tops of water bottles to seal bags that actually works wonderfully and super easy. Since it seems that grocery prices are skyrocketing, who wouldn’t want to keep their food fresh and longer lasting? 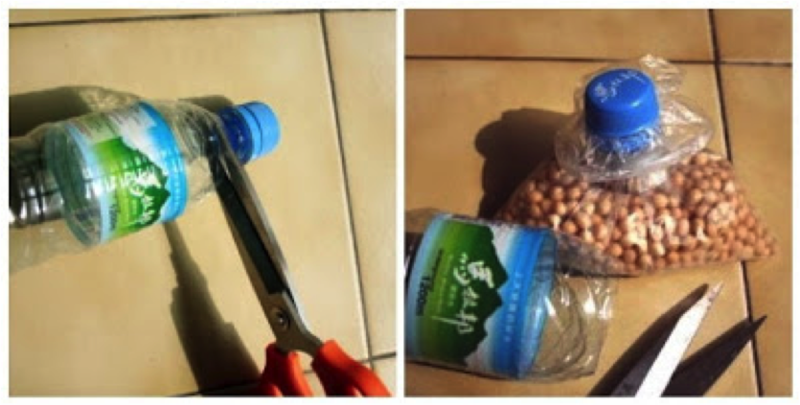 Cut up a disposable water bottle and keep the neck and top, as in the photo.